Business Liability Insurance KY. The Small Business Administration identifies three types of business liability insurance for the average small business. These include general business liability insurance, product liability insurance and professional liability insurance. Each of these have their own purpose and, depending on your business type, may or may not be of benefit to you. Of greatest benefit to almost all businesses is a general business liability insurance KY policy. This policy acts as the first line of defense against many liability claims against your business. General business liability insurance KY comes into play if a claim is made against your business by a third party. This could be for an incident such as property damage or bodily injury as a result of an action of an employee or contractor. The general business liability insurance usually covers legal fees in defense of the company and has a maximum settlement or court award value that the insurance will cover. Though not required by Kentucky law, most Kentucky businesses choose to protect themselves from financial loss and maintain a general business liability insurance policy. A typical policy may include bodily injury and property damage, personal injury liability and legal defense and judgement. Business liablity insurance KY protects your company from lawsuits with rates as low as $27/mo. Get a fast quote and your certificate of insurance now. 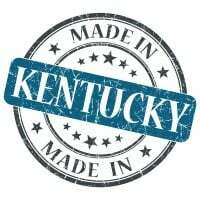 Currently, the Pacific Research Institute ranks Kentucky among the worst states when considering the legal climate for business liability. A state constitutional ban exists barring the legislature from setting certain limits in business liability lawsuits, leaving businesses open to financial ruin. It is advisable for all Kentucky businesses to strongly consider commercial general liability insurance. It is your first line of defense against frivolous and legitimate claims and lawsuits. The bodily injury and property damage liability portion of the general business liability insurance KY policy generally covers physical injury to a person other than an employee at your place of business. It also covers physical injury caused by you or your employee in the course of business on another person's property. Medical payments for such injury are often part of the settlement. Also the coverage includes damage caused by you or an employee to another person or entity's property. The general business liability insurance KY policy also includes coverage for libel, slander and copyright infringement by employees acting on behalf of the business. It also covers the invasion of property or privacy and wrongful eviction and losses caused by your advertising. These instances involve damage that is alleged to be caused by you or an employee against an individual or another. Lastly, the typical business liability insurance KY coverage provides protection for legal defense and judgement which generally includes costs of defense against lawsuits and judgement limited to coverage liabilities. This part of the policy can be invaluable when settling lawsuits. Legal representation to handle the matter provides a sense of security in dealing with these matters. The business liability insurance KY can help protect businesses by covering legal claims. Policies can be tailored to meet the specific needs of the business by adjusting coverage amounts, deductibles and varying the dollar limits of the coverage. By adjusting deductibles and coverage amounts you will find a policy to meet your needs while staying within your budget. Each claim can result in a devastating financial cost to a small business. 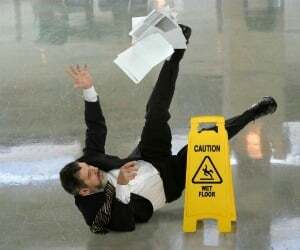 Customer slip and fall claims have the highest rate of occurrence in business liability. Some estimates have the average payout for these types of claims at well over $30,000. These happen more often than you can imagine. The injured party generally has to show that the business was negligent, but sometimes that is not the case. An employee mops the floor and forgets to put the "wet floor" sign up and a customer slips and gets injured. Another example is a customer tripping over a sidewalk crack outside the business. One such slip and fall accident in Kentucky resulted in a $250,000 pre-trial settlement to the claimant for an injury in small grocery store. The individual walked down the aisle of the store and slipped on some spilled liquid laundry detergent. This resulted in a significant injury to the claimant, requiring medical attention and loss of work. Ranked next is a customer injury and damage claim which often costs the business in excess of $40,000. Very similar to slip and fall, the customer has been injured through an act either through an action or through negligence. Recently in Kentucky, a female was awarded $300,000 after she was injured during a robbery. It was determined that the business was negligent in the provision of security in a high crime area and that they were liable for the customer's injuries. Reputational harm claims are also among the most frequent business liability insurance claims in Kentucky with an average settlement of $50,000. In this internet age, reputational harm cases are on the rise. The unauthorized use of a picture that can negatively impact a person or business reputation is an example of this. A negative, hostile online reaction by an employee to a review or blog could be another example. In cases where a lawsuit is filed, the average can run up to $100,000 with legal fees and court costs. In Kentucky, jury awards can be even higher due to the legal atmosphere. Though most defamation cases have historically centered on the media, claims against employers have been made with significant awards made to former employees. Former employees proving that employers make false statements that negatively impact their earning potential are among these cases. Insurance rates can be highly competitive and vary by area, coverage type, deductibles, limits and other variables. This is true for general business liability insurance KY. In addition to providing you the best coverage, a commercial insurance professional work with you to understand your business needs and develop a plan to manage your unique risks. Request a free Business Liability Insurance KY quote in Alexandria, Ashland, Barbourville, Bardstown, Beaver Dam, Bellevue, Benton, Berea, Bowling Green, Brandenburg, Cadiz, Calvert, Campbellsville, Carrollton, Central, Cold Spring, Columbia, Corbin, Covington, Crescent Springs, Crestview Hills, Crestwood, Crittenden, Cynthiana, Danville, Dawson Springs, Dayton, Douglass Hills, Eddyville, Edgewood, Elizabethtown, Elsmere, Eminence, Erlanger, Flatwoods, Flemingsburg, Florence, Fort Mitchell, Fort Thomas, Fort Wright, Frankfort, Franklin, Georgetown, Glasgow, Graymoor-Devondale, Grayson, Greenville, Harrodsburg, Hartford, Hazard, Henderson, Highland Heights, Hillview, Hodgenville, Hopkinsville, Hurstbourne, Independence, Indian Hills, Irvine, Jeffersontown, La Grange, Lakeside Park, Lancaster, Lawrenceburg, Lebanon, Leitchfield, Lexington-Fayette, London, Louisville, Ludlow, Lyndon, Madisonville, Marion, Mayfield, Maysville, Middlesborough, Middletown, Monticello, Morehead, Morganfield, Mount Sterling, Mount Washington, Murray, Newport, Nicholasville, Oak Grove, Owensboro, Paducah, Paintsville, Paris, Park Hills, Pikeville, Prestonsburg, Princeton, Prospect, Providence, Radcliff, Richmond, Russell, Russellville, Scottsville, Shelbyville, Shepherdsville, Shively, Simpsonville, Somerset, Southgate, Springfield, St. Matthews, Stanford, Stanton, Taylor Mill, Union, Versailles, Villa Hills, Vine Grove, Walton, West Liberty, Wilder, Williamsburg, Williamstown, Wilmore, Winchester and all other cities in KY - The Bluegrass State.